2. the rigor or training effect of experience, adversity, etc. 3. behavior in accord with rules of conduct; behavior and order maintained by training and control. 4. to bring to a state of order and obedience by training and control. Discipline is one of those words that either causes your stomach to turn and your hair to stand on end or inspires a great sense of pride. Isn’t it interesting how a single word generates such contrasting reactions? The philosophies of love and hate, conflict between order and chaos, Newton’s third law of motion, captured in ten letters. As parents, it is one of the most important words in our vocabulary. Every good dad wants to be Superman to their children. Be honest guys, watching your 5-year old awe at how high you can throw a baseball, being able to reach that game on the top shelf, or hearing the words “it’s OK, Daddy can fix it” super-charges our ego. Men thrive on swooping in to save the day. Having to punish the little boy who idolizes you can be quite antagonizing. Correction means pain, emotional, physical or both. Deep down, we worry that causing pain will topple our superhero status. We should not forget, however, Superman existed to punish criminals. At the very root of being a superhero is discipline. So now what? We want superhero dad status, being a superhero means practicing and enforcing discipline, but pushing our children away still haunts us. Discipline is vital to teaching a child how to do life right and is executed as a cycle of setting expectations, accountability, and correction. First, set clear guidelines and boundaries, then make them known. Nothing screws with a child’s head more than being chastised for crossing a line they never knew existed. If you want to build an impervious wall between you and your children, make up rules on the fly and change them regularly. Second, consistency. Set your rules, let the kids know what the consequences are and stick to them. Though the kids won’t admit it, and they’re a stress cocktail served up by the DOT, concrete boundaries beget peace. The last rule of successful discipline, self-control. Don’t go overboard with your rules or your consequences. Spilling milk at the table does not warrant being grounded from TV for a week! Controlling yourself, self-discipline, keeps correction within the boundaries of redirection and not retribution while also protecting your own integrity. Without integrity your authority to enforce punishment disintegrates, flushing your influence down the toilet. Self control also tames your Superman complex, allowing your kids the freedom to screw up and reap the results. Sheltering children from all adversity is just as poisonous as failing to discipline them. 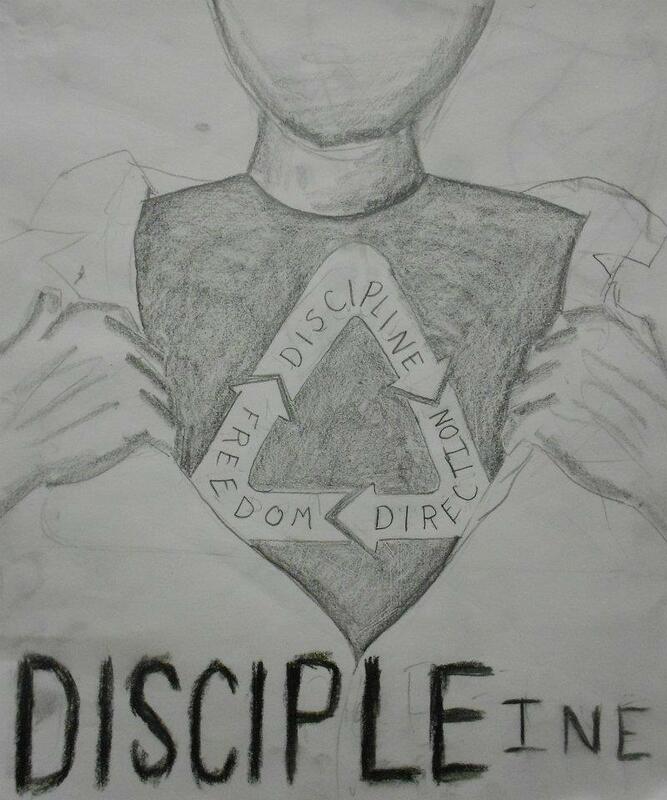 Consider the root word of ‘discipline’; disciple. What was it that motivated Jesus’s disciples to remain loyal? Riches? Mark 10:24-25 The disciples were amazed at his words. But Jesus said again, “Children, how hard it is to enter the kingdom of God!It is easier for a camel to go through the eye of a needle than for someone who is rich to enter the kingdom of God.” Obviously not money-driven. Power? Mark 10:31 But many who are first will be last and the last first. Nope. Fame, I mean these guys died 2000 years ago and we’re still talking about them! Matthew 10:22 You will be hated by everyone because of me, but the one who stands firm to the end will be saved. Not the kind of popularity I find attractive. So it’s not for the money, no tangible power to be obtained, definitely not a strategic move for winning a popularity contest, why would anyone want this? Simple, the security found in discipline. Want to be your kids’ Superman? Show them how to do life right and keep them in line.